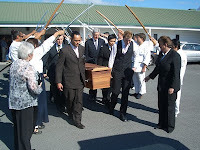 For those of you that don’t know much about sensei Adam Cooper, he was an amazingly positive, intelligent man who was loved by everyone that came into contact with him and was one of those very rare, intuitive “natural” martial artist – a truly great Aikidoka, who if not taken away from us so early would without question gone on to become a NZ Legend. Adam was one of those people that made the world a better place just by existing and we will all miss him terribly – he trained with anyone and everyone and it was always a joy when he popped up at your dojo as you knew the energy on the mat that night would be terrific. 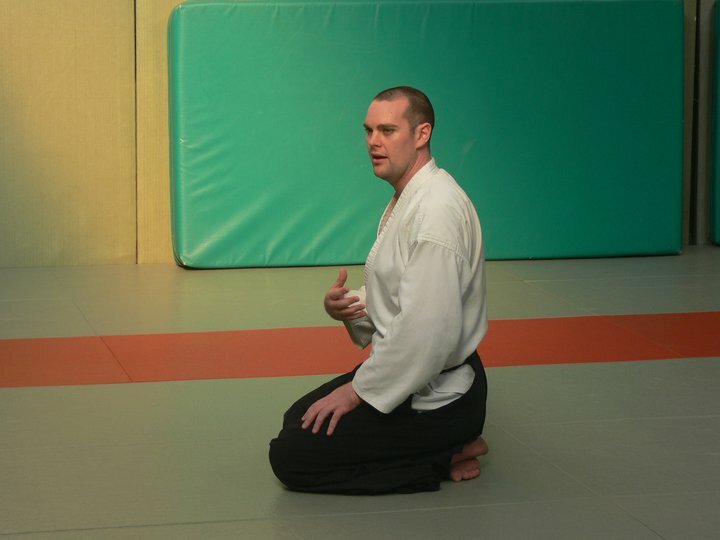 Adam leaves behind him a huge hole in the NZ Aikido community. 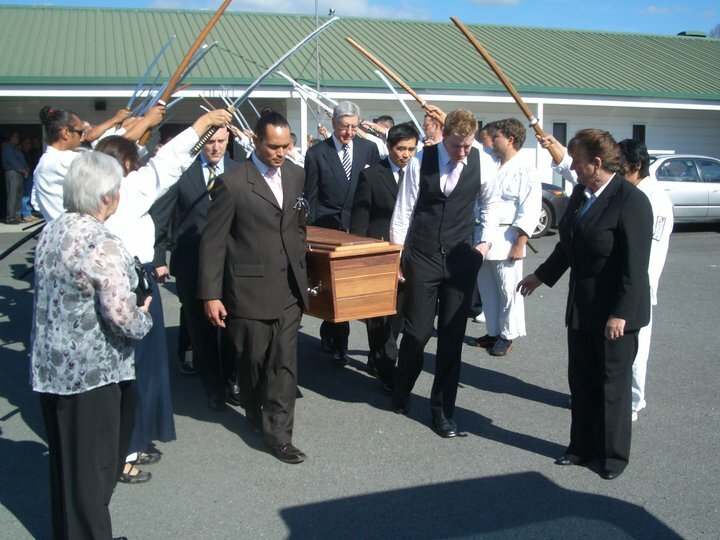 At Adam’s funeral on Monday, the guard of honour was made up of Aikidoka from all over New Zealand, from many different styles and organisation – a tribute to the impact the man made on everyone who trained with him. Having fought against cancer for the best part of half a decade, never losing his smile and training right up until the end, I can truly say I’ve known a Warrior. RIP mate.